Free Krispy Kreme chocolate prize for kids! Don't miss out on half term fun at Krispy Kreme! Take your family to your local Krispy Kreme this half term and you can help decorate the stores! Enter their Halloween colouring competition in stores and every single entry will get a free Krispy Kreme Chocolate Prize for taking part. 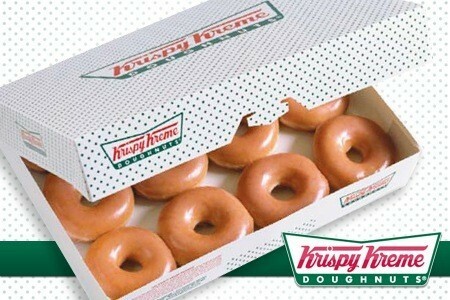 Find your local Krispy Kreme now and get stuck in. OMG A FREE DOUGHNUT! Krispy Kreme is giving away a free doughnut for everyone who signs up to their newsletter and becomes their friend! They produce the tastiest doughnuts in all the land!